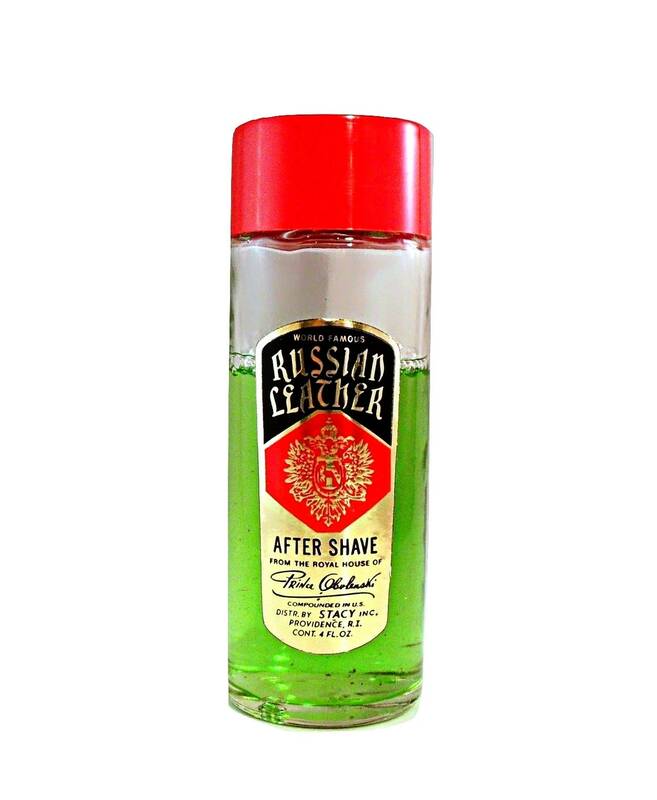 Vintage 1950s Russian Leather by Prince Obolenski 4 oz After Shave Splash. This after shave bottle has a red plastic screw cap and gold foil label on the front. The bottle is about 75% full of the original after shave. 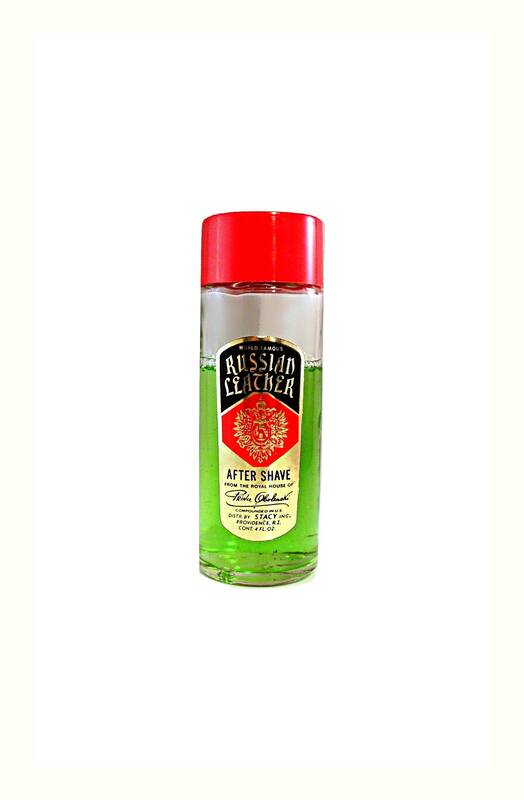 I just tested some on the back of my hand, and it still smells a little nice, though it is old and not very fresh, but if you want to stir up memories, this will surely do it. Has a citrusy tang.